In January 2012, Ken Coyne, founder of Lines 'n Curves, extended his company to handle your archival solution needs after assuming the products and customer lists from BFB Sales. With this expansion to Lines 'n Curves, we'll be your Canadian source for archival quality materials, preservation supplies, conservation tools and equipment, storage furniture, and display cabinets. 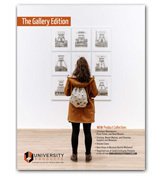 We have integrated the archival and conservation products into our company product catalog, but only as a summary overview. 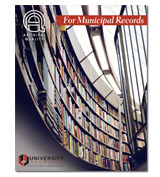 More importantly, as the Canadian distributor of University Products' archival products, we recommend you check out their site. Adhesives for a wide variety of art, framing and repair. Wheat and rice starch have been used by conservators and artists for centuries. Methyl cellulose is used for paper repair, hinging, and bookbinding. Neutral pH adhesive is used for bookbinding, collage or other art. 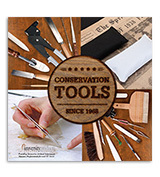 Our line of bookbinding products includes a comprehensive line of unique tools, accessories, and supplies that are used throughout the world by bookbinding professionals and enthusiasts. We also carry book cleaning and repair tools that can be used to repair and stabilize art when economics or other factors do not warrant treatment by a trained conservator. Examples of bookbinding supplies: Glue brushes, bone folders, bone scorers, awls, micro spatula, bookbinder needles, binding material, silk headbands, binder board, beeswax, hinging & finishing tapes, padding compound, bone clasps and screw posts. A line of superior weaves and colours that are both functional and archival from a European bookcloth manufacturer. These units are made with corrosion avoidance tachnology that increases the lifespan of your CDs/DVDs from 20 to 40+ years. Ozone and reactive oxygen can cause the metal layer of CDs/DVDs to break down and oxidize, making them unreadable. The technology used with these products protects against this failure. The unique design of the CD preservers provides full visibility of the label side of the disc while also protecting the data side. Products include flap pockets, pockets with adhesive backing, jewel case inserts, multiple disc binder pages, and albums. We sell many types of clear archival plastic storage and presentation enclosures. All are made from the finest quality archival polyester or polypropylene to provide excellent visibility and protection for photos, art and documents. These easel backs are a favourite with art material, craft, hobby, scrapbook, and photo retailers. Also a must for hosting events or doing table displays. Easels are self-adhesive and come in sizes from 3" to 36". We also have sign boards and easel pads. In-frame protection. Frame backer, frame sealing and rabbet anti-stick tapes safeguard the artwork inside the frame. Superior tapes and adhesives. All paper, fabric and adhesives that are used in the manufacture of the products are acid-free and carefully controlled to assure archival quality. You can select from water reversible tapes, Japanese papers, starch adhesives, and self-adhesive tapes. When storing in boxes, etc be sure to separate items with archiving interleaving tissue which protects your items while providing maximum transparency. Available in polypropylene and vinyl, job jackets are the most versatile envelopes used today. Job jackets are used to protect and store work orders, inventory cards, MSDS sheets, SOPs, production schedules, project folders and more. Our extensive line of archival quality mat and mounting boards are offered in 2, 4, 8 ply, in eleven colours and in full size or cut size sheets. Buffered or unbuffered, 100% cotton fiber or alpha cellulose fiber, the quality of these boards meet the highest standard in the industry. Corners and strips mount prints, photographs and documents without the adhesives ever contacting the artwork. They provide support, and allow for the expansion and contraction of the art within the framce. Artwork can always be removed in its original, pristine conditiom. Archival grade plastics are available that contain no harmful PVC plasticizers or acidic compounds. Polyester is the clearest plastic and is typically the choice of museums. However, because of a slight static charge polyester is not recommended for use with pastels, charcoal or similar mediums. Polypropylene is inert, acid-free, safe and has less static charge. It is widely used for mounting. Drop front boxes: Metal edge storage boxes are acid-free, lignin-free, made with 60 point board, and designed with a drop front for ease of retrieving photographs, documents, artwork or other important and valuable items. Short Lid Archival boxes: Short lid, metal edge boxes for long term storage of photographs, documents and ephemera. Folio Storage boxes: These archival storage boxes are made from a single piece of boxboard that includes a built-in hinge as part of the clamshell design. All the boxes are acid-free, lignin-free and feature metal edge corners that provide a strong structure that prevents crushing. They are available in a wide variety of cover materials and colours. Photo/Neg & CD Archival boxes: Organizing CDs, DVDs, photographs, postcards, or other memorabilia is easier and safer with our metral edge boxes made of strong museum quality tan and black boxboard, with fliptop or removable lid. Complete archival protection. 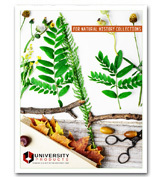 The print, slide and negative pages are designed to accept individually sleeved prints, slides, and negatives within each pocket, and are ideal for cataloging and long term storage. Photo pages are manufactured from 4 mil crystal clear, extremely durable polypropylene and are both acid and PVC free. Made from paper, polypropylene, and polyester, we offer a wide selection of mounting corners, tabs, and envelopes for the safe storage of photographs. These sleeves are designed for both labs and professionals, and because the archival sleeve material is made from a specially fomulated polypropylene that has a physical density that is less than other sleeving materials, it is more pliable and gentle to your film. These strong and durable sleeves won't become brittle. Sleeves are optically clear, color neutral and have a unique anti-Newton ring surface that reduces distracting Newton rings.